Anyway, my ‘curiosity/chismosa’ instinct was itching to go and check the truth behind that someone’s tweet of a facebook application for Nokie E71/E72. I checked the Ovi Store in my Nokia E63. Ovi Store is like Nokia’s equivalent for iPhone’s AppStore or Droid’s Market Area. Please note I checked it from the Ovi Store in my mobile phone. 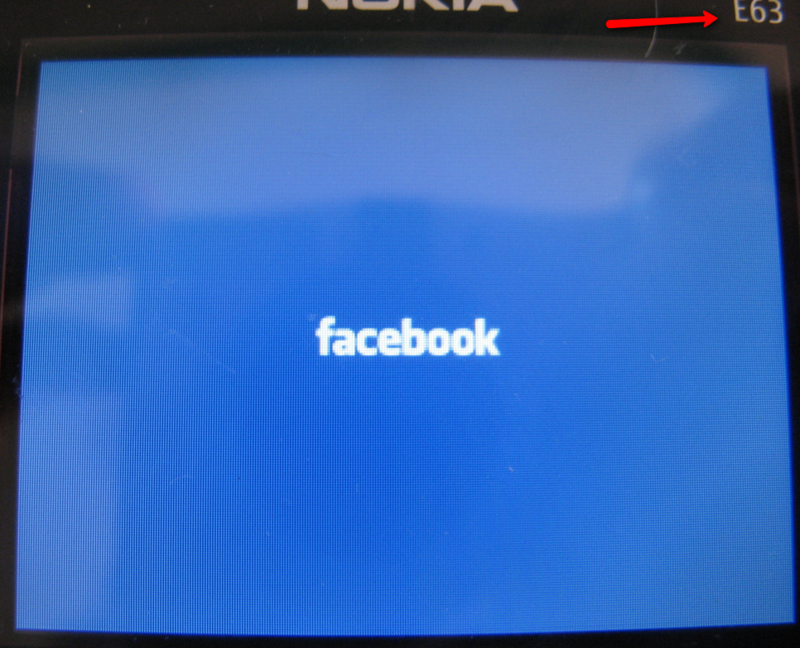 Because I checked the getjar and Ovi Store online from my laptop, I did not see the Facebook for Nokia E71/E72 application listed in the non-mobile websites. 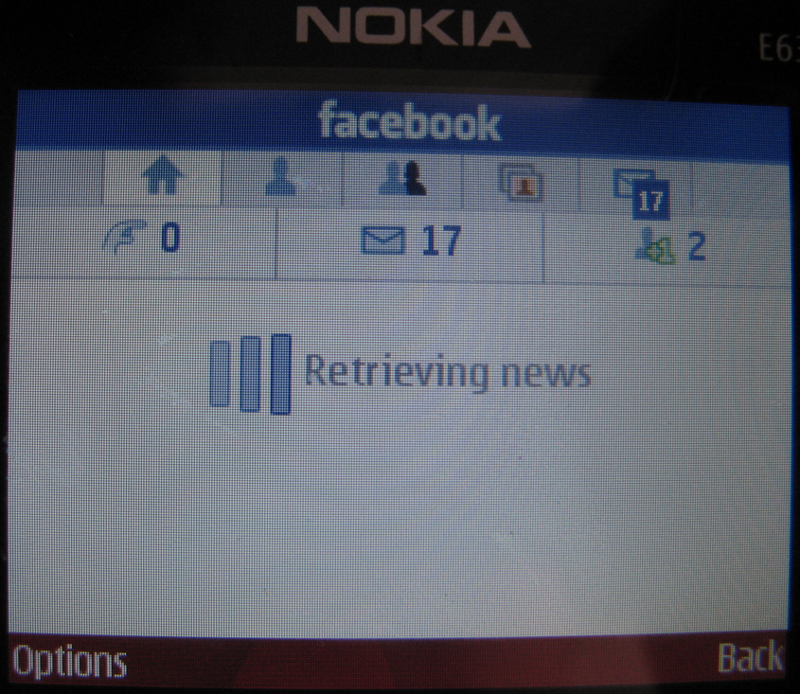 I only have a Nokia E63, a ‘lower’ version of E71/72 but nevertheless I tried downloading it and see if it will work. Does it work on my Nokia E63? Is it compatible? But do not get overly excited yet because the first thing I notice is it’s sooo slowwww, which might be because my phone is ‘just’ an E63, and E71/72 are what are specifically mentioned in the Ovi Store. In twitter applications, one of the features I would usually look after is its ability to upload pictures. So that was the first feature I checked. 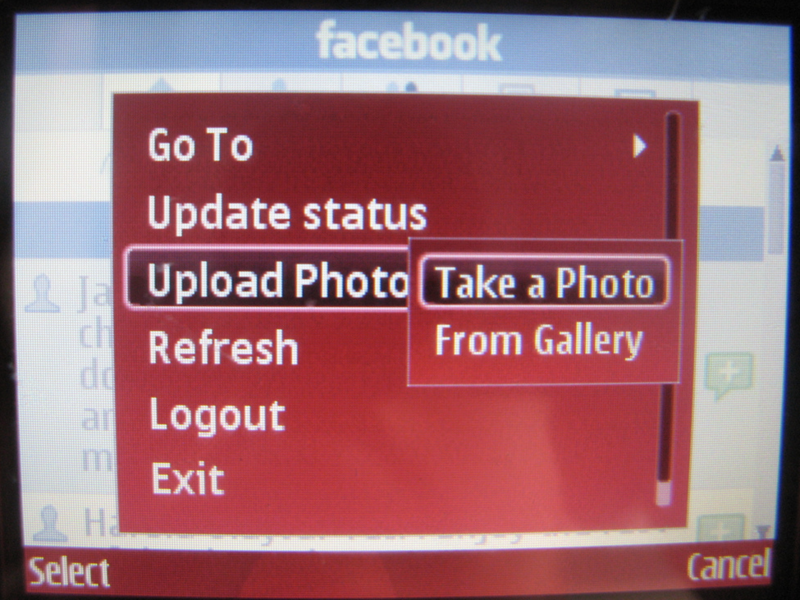 And, indeed it can let you add picture via Take a Photo or From Gallery. 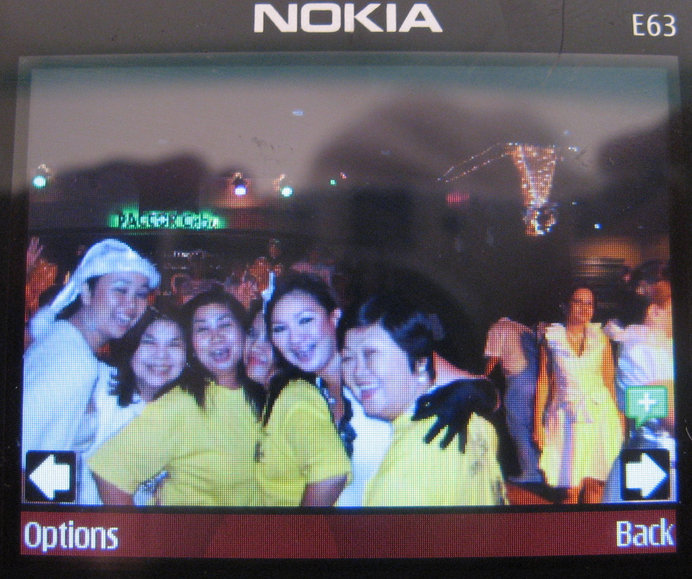 I tried uploading pictures, both via ‘Take a Photo’ and ‘From Gallery,’ it worked but sluggish, slow. Look and feel wise, the lite.facebook.com (which I used when mobile browsing) is wayyy better than the facebook application for the Nokia E series (Symbian 60 OS). 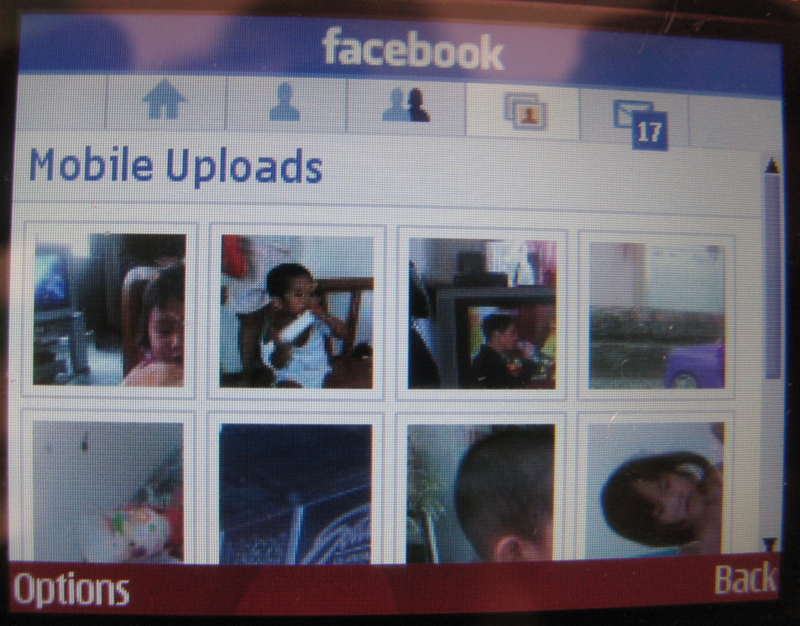 Feature wise, I’m already sold when I saw that it can upload photos via ‘clicking a picture’ from your celphone camera. Speed wise, using it feels like it’s always loading, retrieving, and loading — you can take naps in between. So my verdict is: I am more of a ‘function over form’ kind of person, just make it more snappy and smooth and fast, this will be a winner already for me. There is no details as to when this was released or posted in the Ovi Store, so as to know the age of this application. But basing on the customer reviews, the first review was posted on on June, 2009. So I am assuming this was released during that time. So for a 6-month application, I guess it is still young. I am sure, there will be a lot of improvements to come. 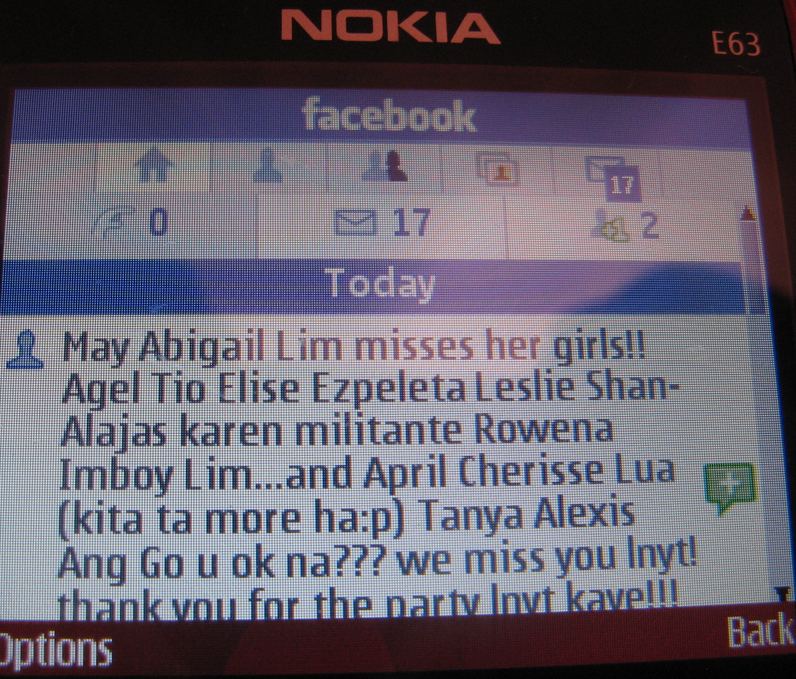 But while I wait for the updates or the newer version, I will stick with the lite.facebook.com for now. Awesome things here. I’m very happy to look your article. Thanks a lot and I’m looking forward to contact you. Will you please drop me a mail?Do you love Speedway? where? 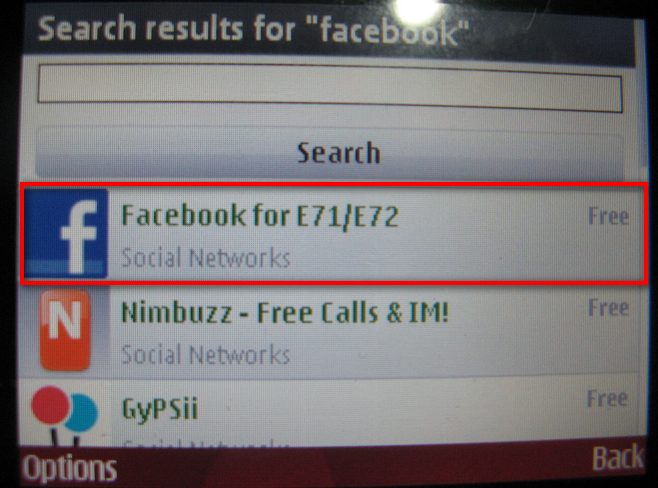 i can be download Facebook for E71/E72..? ?